I DIDN’T realize it at the time, but back in junior-high study hall I was sketching the Squire. And, indeed, in England back in 1926, 16-year-old Adrian Morgan Squire was also sketching what came to be his sports car. A sketch of his car, by Adrian Squire. This and the following images from Classic Cars in Profile: Volume 3: Profile Nos. 49-72, Doubleday and Company, 1968. Jonathan Wood’s most informative article, “The 1 1/2-Litre Squire,” details one of 24 cars described in Classic Cars in Profile, Vol. 3, from which these tidbits are gleaned. Schooling came first, though, with a brief stint as an electrical engineering student at Faraday House, London. 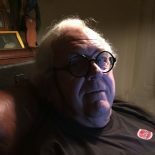 “His restlessness got the best of him,” Jonathan Wood notes, “and he gave up his studies to become an apprentice with Bentley Motors.” In 1929, Squire moved on to the M.G. Car Company. This lasted two years, until, at age 21, Adrian established Squire Motors Ltd., a petrol station/garage in Remenham Hill, a mile outside Henley-on-Thames. Co-directors of the firm were “Jock” Manby-Colegrave, then 20, and Reginald Slay, nicknamed “Uncle.” Slay was 26. “A Squire Deal is a Square Deal,” the firm’s advertising read. By 1933, Squire Motors started designing a prototype car. In January 1934, things were made official with formation of the Squire Car Manufacturing Company. Quite an advanced engine for its time: double overhead camshafts, supercharged, producing 110 hp from a mere 1 1/2 liters. 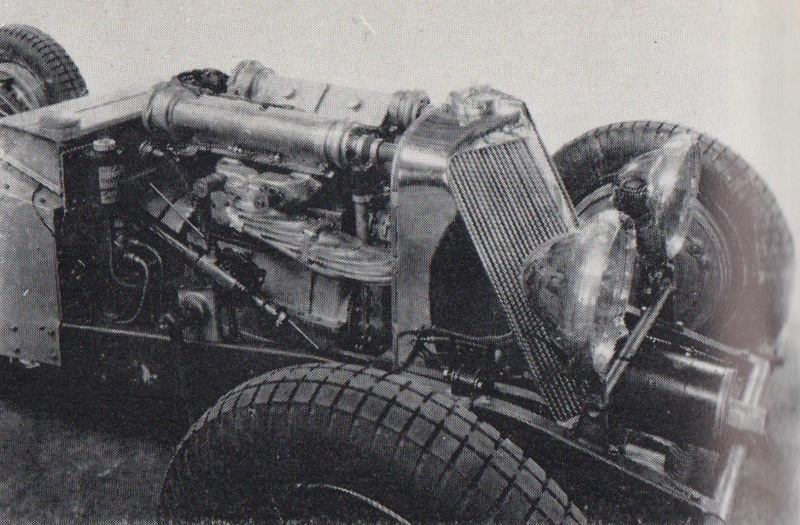 The Squire née Anzani powerplant was a 1496-cc four-cylinder, typical of the era with 69-mm bore and a lengthy stroke of 100 mm. It had twin overhead camshafts and, with a David Brown Roots-type supercharger, produced 110 hp at 5000 rpm. (David Brown, by the way, is the D.B. of Aston Martin fame.) A 4-speed Wilson pre-selector gearbox was fitted. Potent performance for the era! 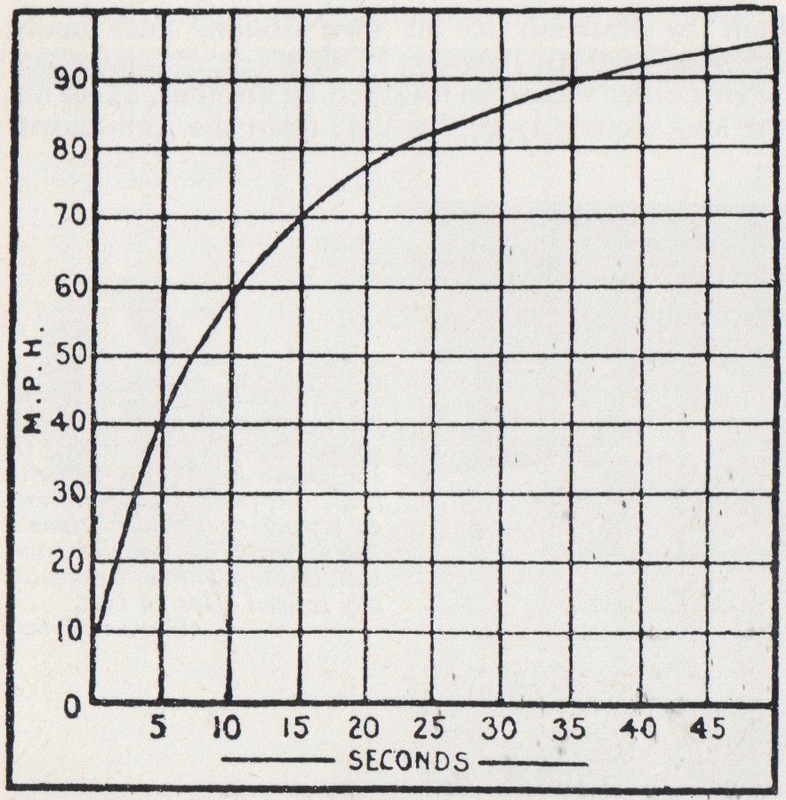 Zero to 60 in 10 seconds, 70 mph in 15 seconds, a top speed just a tad over “the magic 100 mph.” Data from Motor Sport, August 1935. The chassis was traditional, with semi-elliptic springs for its beam front and live rear axle. Its Lockheed hydraulic brakes and oversize drums were so potent that their retardation force was known to fracture the front-spring shackles. Bodywork initially came from famed English coachwork supplier Vanden Plas. Two chassis lengths were offered, with wheelbases of 102.0 in. and 123.0 in. Notes Wood, “With the short-chassis version selling at £1220 with a two-seater Vanden Plas body and with the long four-seater another £25, the Squire was one of the most expensive British sports cars of its day.” Indeed, this was Bugatti territory, and Bugatti was already a legendary marque in 1934. Another Vanden Plas-bodied Squire, X102, 1935. Squire sales were not brisk: a 1933 prototype and only four in all of 1935. In fact, in September 1935, the firm offered a short-chassis version with less pricey Markham bodywork. These were privately known around the works as the Skimpies, and saved prospective buyers £200 of Vanden Plas reputation. Ranalah coachwork was another choice. As an additional sales incentive, purchase included home visits from a Squire mechanic every three months. 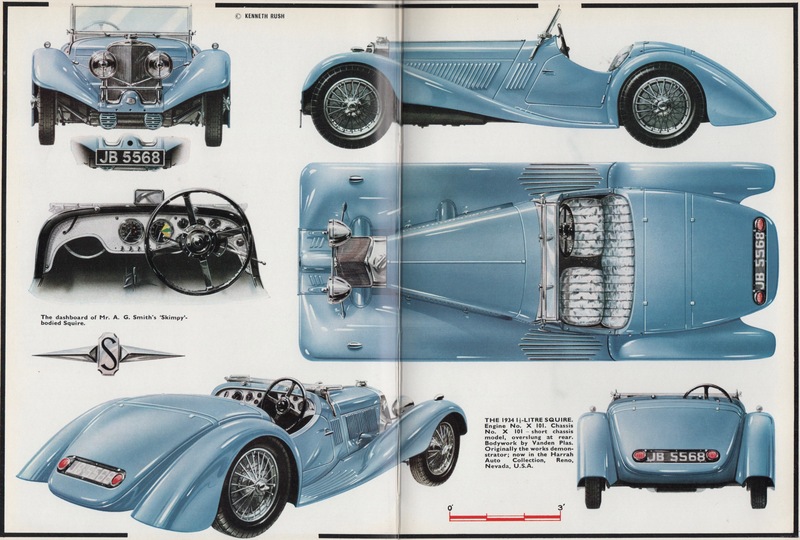 Two more cars were sold in 1936, the last year of Adrian Squire’s sports car manufacturing. Val Zethrin, owner of the last 1935 car, bought up the remaining bits and hired two Squire mechanics. Perhaps three “Zethrin-era” Squires brought the nameplate total to no more than 10. Adrian Squire went to work for W.O Bentley again, this time with Lagonda, a Brit automaker founded in 1906. W.O. headed design there after Rolls-Royce had bought his company in 1931 and subsequently screwed him over (another tale for another day). Squire moved on to Bristol Aeroplane Company. He died in 1940, age 30, in a Nazi air raid of Bristol. Thanks to British collector Richard Procter, a Squire ran on the Colorado Grand in 2003. Apart from the one in the Simeone collection, it’s the only one this car geek has seen in his 74 years. One Squire is (or at least was) showcased at the San Francisco Academy of Art’s classic car collection on Van Ness, housed in a former auto dealership showroom. The Squire was on a turntable displayed in a very visible corner of the showroom. It is the only one I’ve ever seen in person. The NorCal Morgan Club spent three hours peering at the on-display part of the vast collection and the Squire was my choice by far. 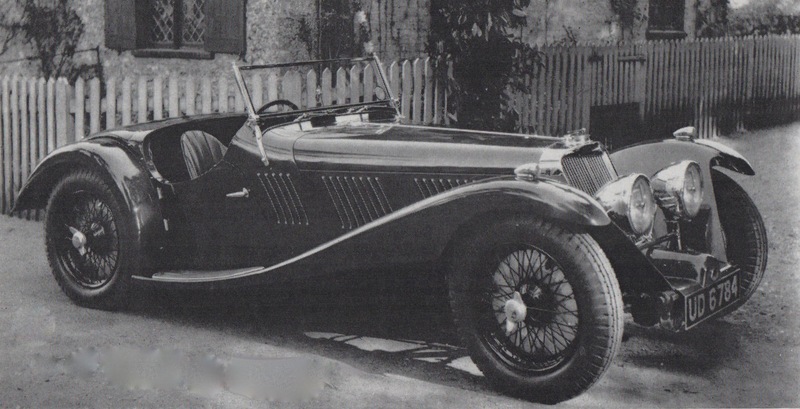 There was an alleged copycatting by HFS Morgan of the Squire but looking at it now, it reminds me more of an Alfa of the period. A neat place. I’ve been there a couple of times (see https://www.roadandtrack.com/car-culture/a18223/academy-of-art-university-auto-museum/). I don’t recall seeing the Squire in my visits. Could one of them once been at the Ford Museum in Dearborn for a special sports car show? I vaguely recall this. R&T September 1955 also had a Salon feature on it. Dennis, I remember a Road & Track Salon of a Squire in which it was reported the car had the shortest stopping distance from 60 the magazine had ever experienced. In that same Salon I think a British road test was reported to have broken the frame of the test Squire under hard braking. This entry was posted on May 24, 2018 by simanaitissays in Classic Bits and tagged "Classic Car Profiles Vol. 3", "The 1 1/2-Litre Squire" Jonathan Wood, 1 1/2-Litre Squire sports car, Adrian M. Squire British car designer/builder, David Brown = D.B. of Aston Martin fame, Harrah Auto Collection, Simeone Foundation Automotive Museum.